Without an IT solution, companies in Romania are facing complicated staff management processes. Human resources teams juggle with thousands of documents, manually entering and checking all information related to employment contracts, payroll, pockets, holidays. And as in any manual work, it takes a lot of time and resources to lose, and it is inevitable that no mistakes can be made, which can lead to fines following ITM checks. After 20 years of existence and cooperation with big company names in Romania, such as RCS & RDS, Oil Terminal and Premium AEROTEC, Socrate Payroll takes the next step into the cloud. Socrate + ERP and Socrate Payroll are now compatible with the latest database technology Microsoft SQL Server 2014. 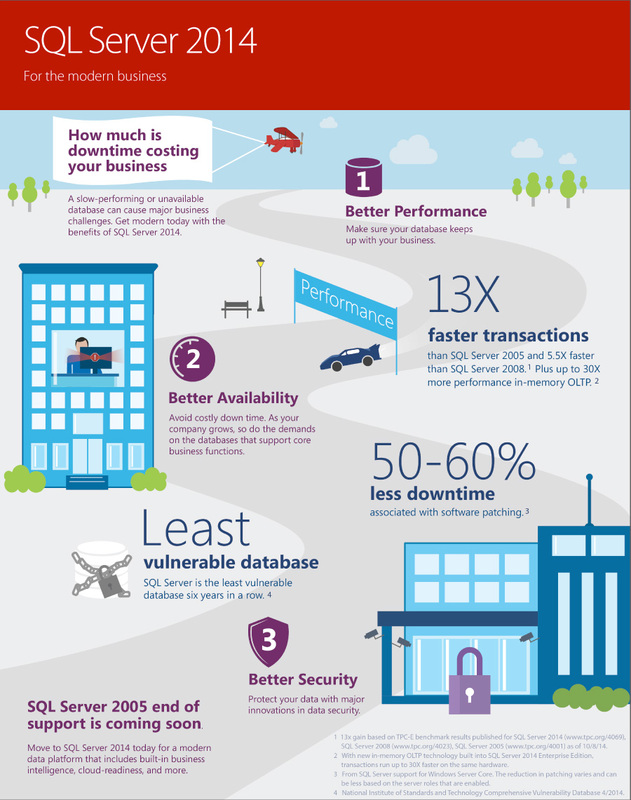 SQL Server 2014 offers an essential performance, due to the in-memory built-in, faster insights from any data and platform for hybrid cloud. Outsource or not the Human Resources? In today’s business world, human resource outsourcing (HRO) is becoming increasingly popular than it was few years ago. This dramatic change occurring in today’s organizations has propelled this latest trend toward outsourcing. Workers’ needs are changing, human resources costs are rising and there are increasing pressures to be aware with the latest legislative changes. At this point, you may be asking yourself a question: how to efficiently manage the all this? The answer is simple. By partnering with a firm that can deliver an HR IT solution that can empower your managers to make healthy workforce decisions. - What HR outsourcing model do I need? (business process, shared services or an application? - Do I really need an outsourcing? - What are the benefits and concerns of outsourcing? - Ensure the outsourcing firms you are looking at have enough experience to handle your company’s needs and that they will be able to meet or exceed your quality expectations. - Have open communication with your provider. - Understand your provider's limitations by asking the right questions. Having the answers to all those questions, you will be able to take the right decision: outsource or not the Human Resources.